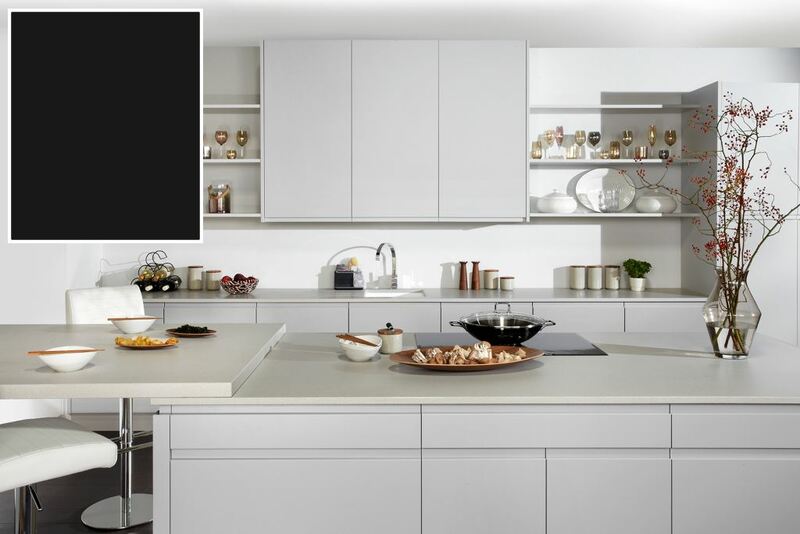 If you require a modern sleek contemporary kitchen then the Malmo handleless range is the perfect choice. It is available in a choice of different finishes and presented here is the Malmo matt finish. It has a choice of four colours each of which display the sleek lines of this handleless range brilliantly. Malmo matt anthracite is new to the stock colours and is available from March 2019. Malmo matt light grey offers, as the name suggests, a very soft grey colour, which efficiently showcases the smooth lines the the handleless kitchen units. With almost a ceramic appearance the Malmo matt porelain is a great choice for anyone who requires a modern looking kitchen. The Malmo matt white demonstrates the efficient lines of this fantastic handleless range. This colour combines with the Malmo handleless range produces an immaculate appearance. For a different look away from hints of white the Malmo mussel is the perfect choice. The touch of colour flows throughout the continuous handleless lines.